Disclosure: Some of the links below are affiliate links, which simply means, if you make a purchase through a link you have clicked on, I may receive a small commission at no additional cost to you. It’s so easy an 8 year old can do it! 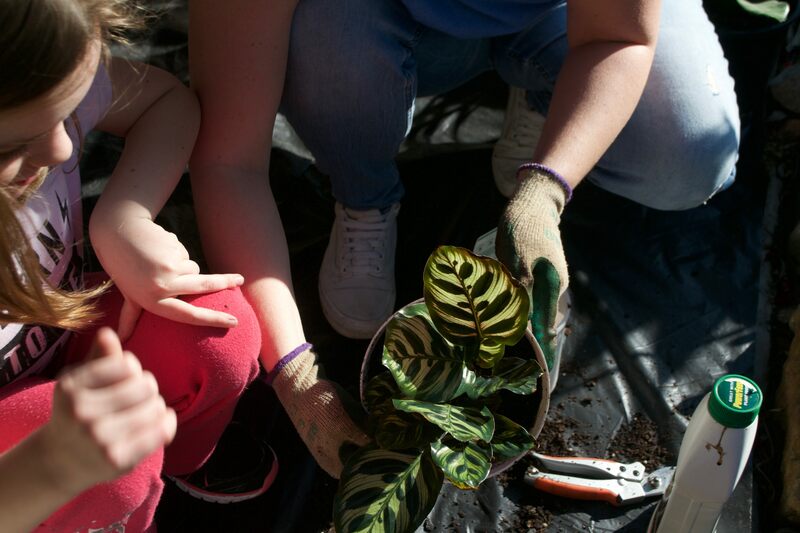 If you‘re like me and enjoy your houseplants in matching pots, you may need to know how to repot a new houseplant. This weekend I was fortunate to have a visit from my awesome sister and her kids. 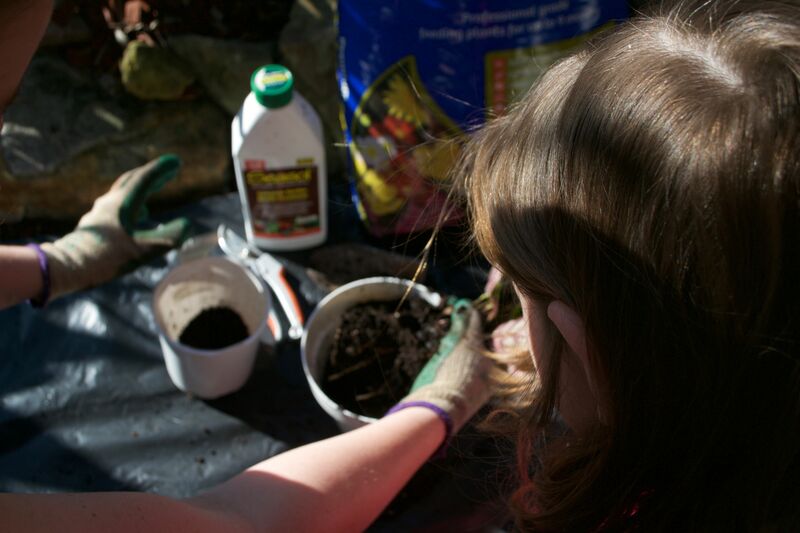 My 8 year old niece Leah offered to help me repot a few of my houseplants from their plastic nursery pots, into new plastic & glazed clay pots. 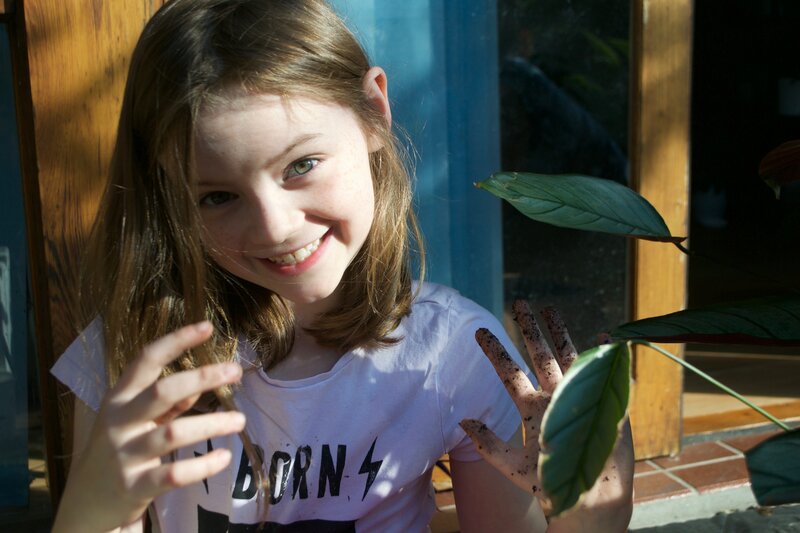 Leah has just sparked an interest in plants & was keen to get her hands dirty, we had a lot of fun. 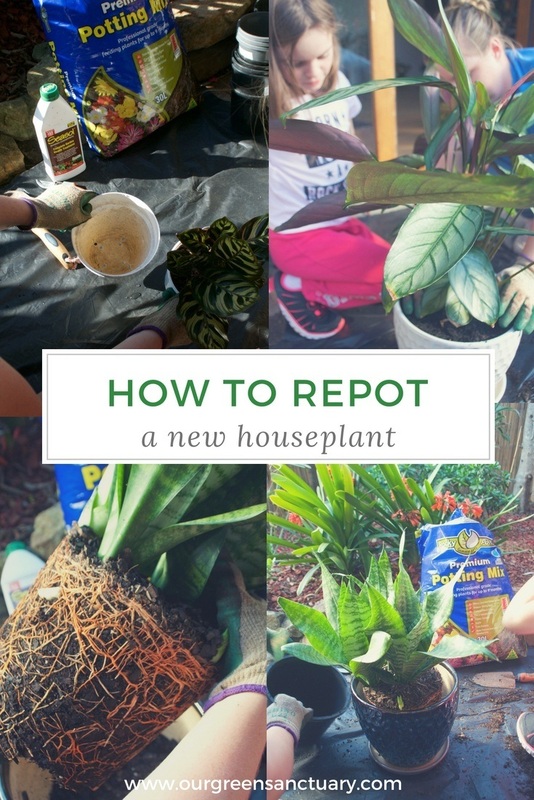 Below are the simple steps we took to repot the houseplants and what we used. Before we got started I gathered all the items together that we needed to use onto a sheet of black plastic for easy clean up. 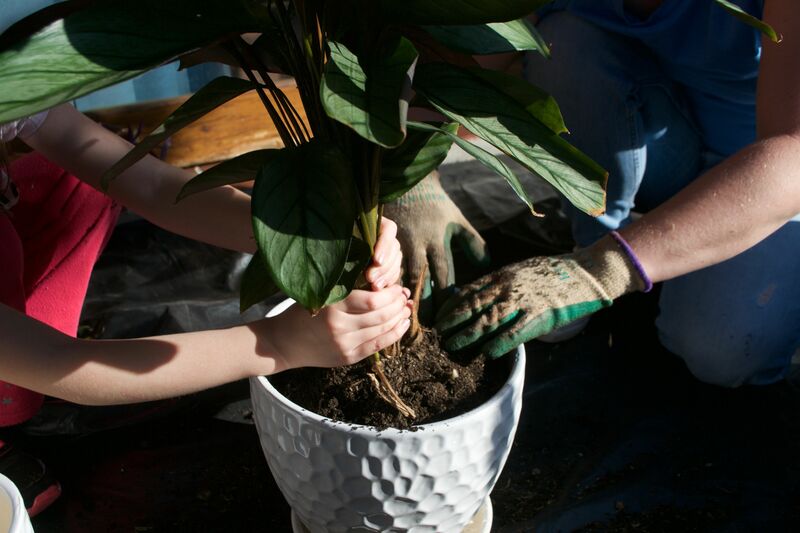 Now we were ready to repot the new houseplants. 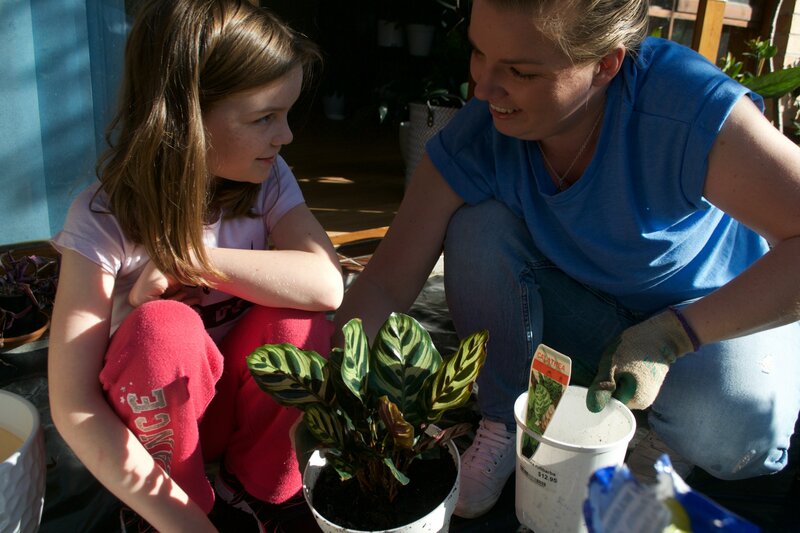 New to indoor gardening? 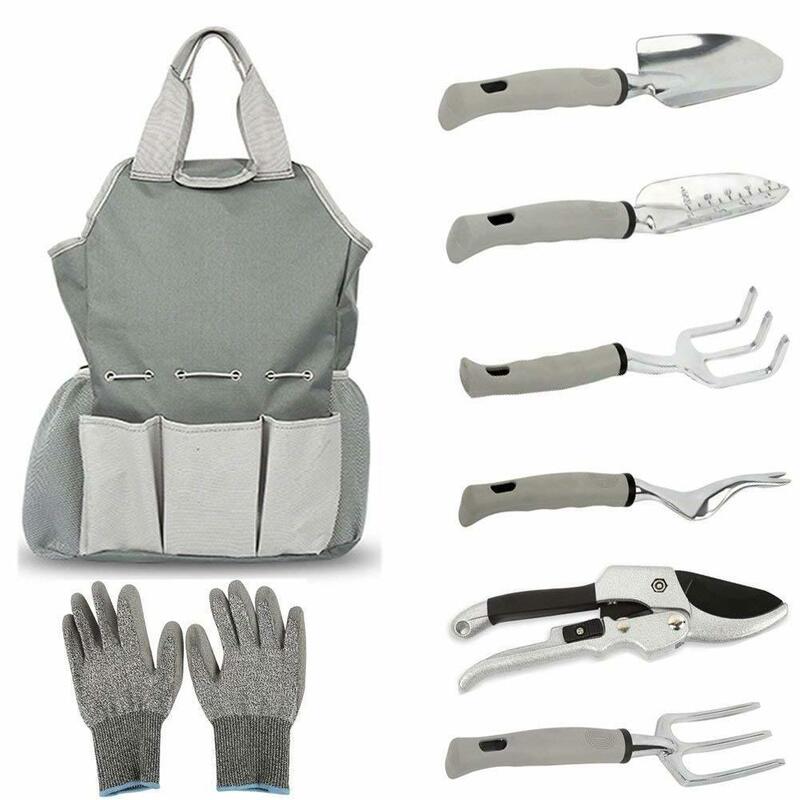 Grab a tool kit like the one above here. 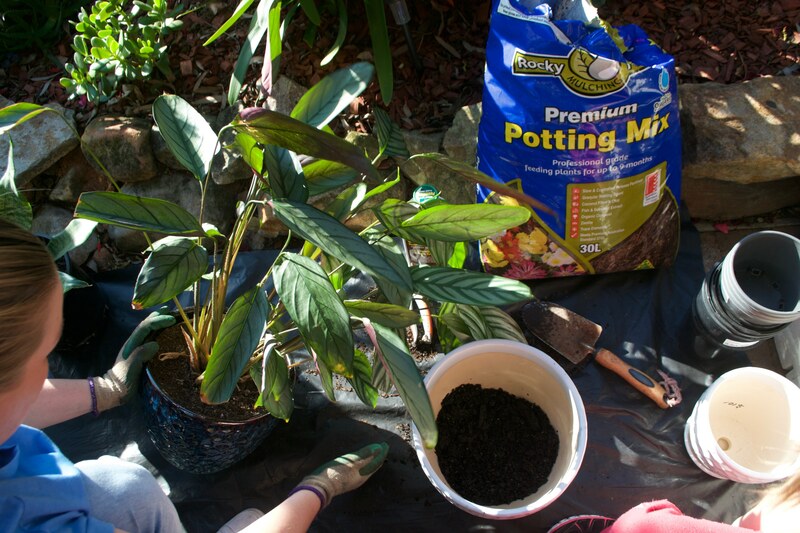 First Leah placed some premium potting mix in the base of the new pot. She was very enthusiastic and asked questions along the way. I felt very privileged to share my passion with her. The new pot is only slightly larger than the nursery pot which is good because this plant doesn’t have a large root ball. 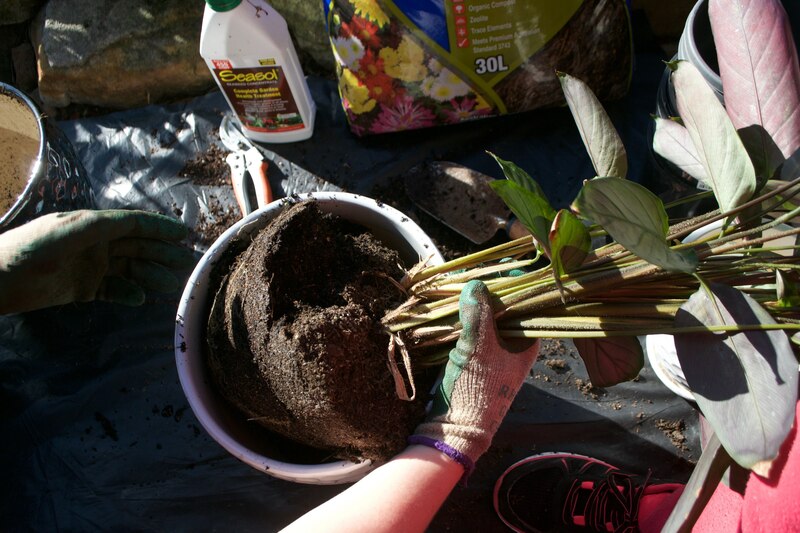 A lot of the existing soil from the nursery pot fell away from the roots so I was able to easily see that they were white and very healthy. 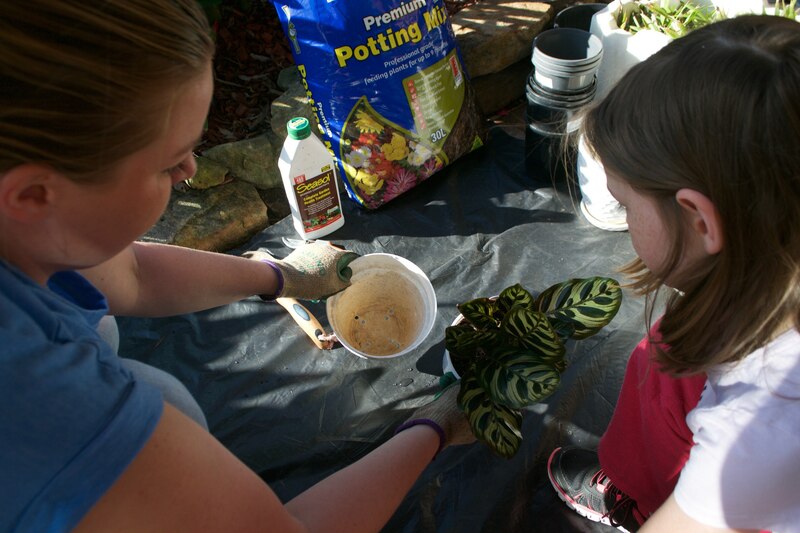 I held the plant in place in the new pot while Leah added fresh potting mix to fill the pot. I also mixed in some of the existing mix from the original pot. 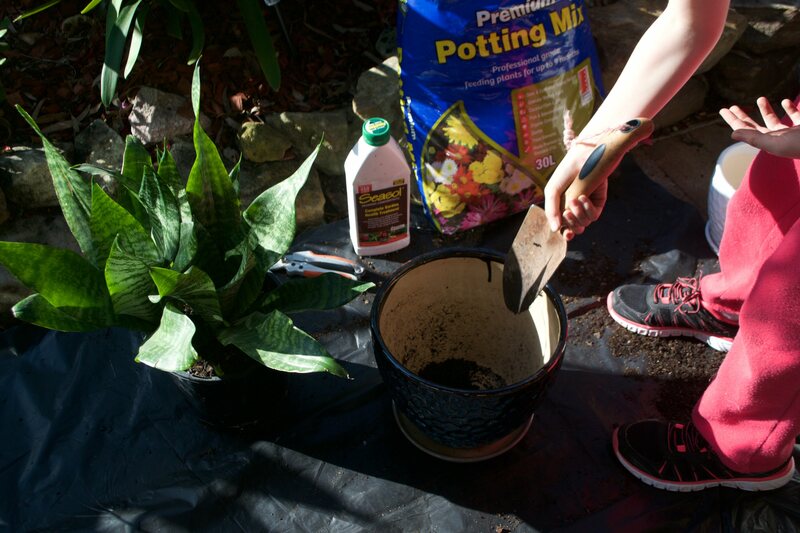 We gently patted down the mix to make sure the pot had enough soil. We left about 3cm from the soil to the top of the pot. 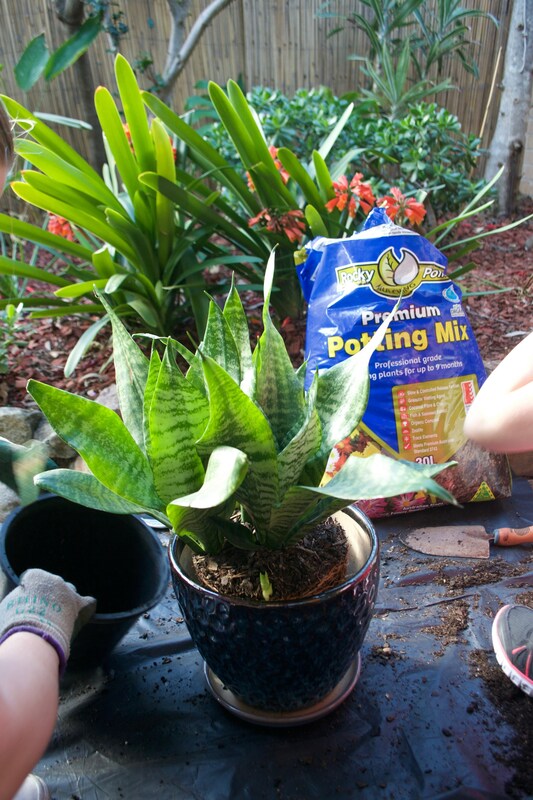 We repotted a few more plants and I showed Leah what to look for when repotting a new houseplant. 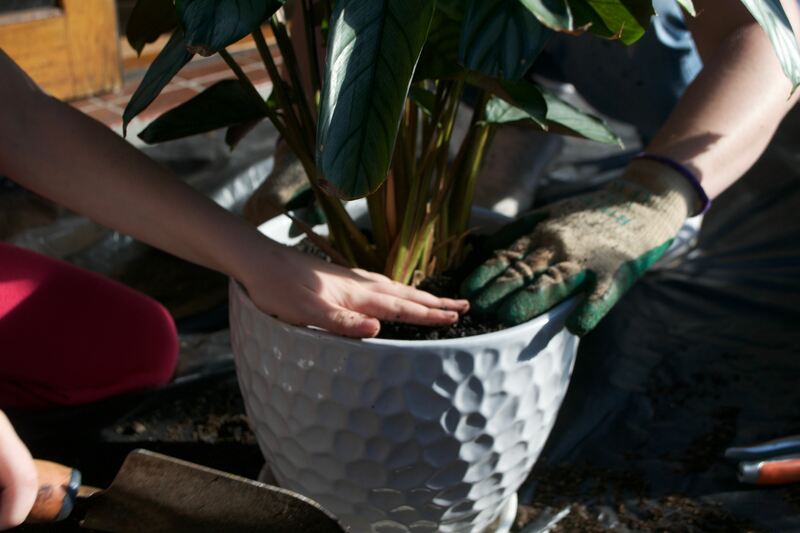 If a plant is potted up to an oversized pot the extra soil can hold additional moisture the plants roots may not use which in turn can encourage root rot. 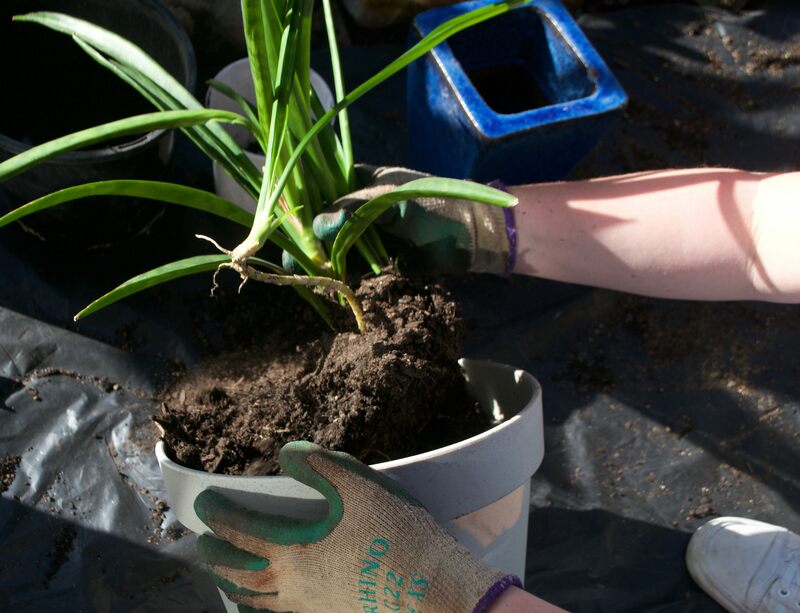 This plant is a Sansevieria which prefers to fill the pot before repotting up one size, as you can see there is a lot of soil and minimal roots, so we moved it to a smaller pot. 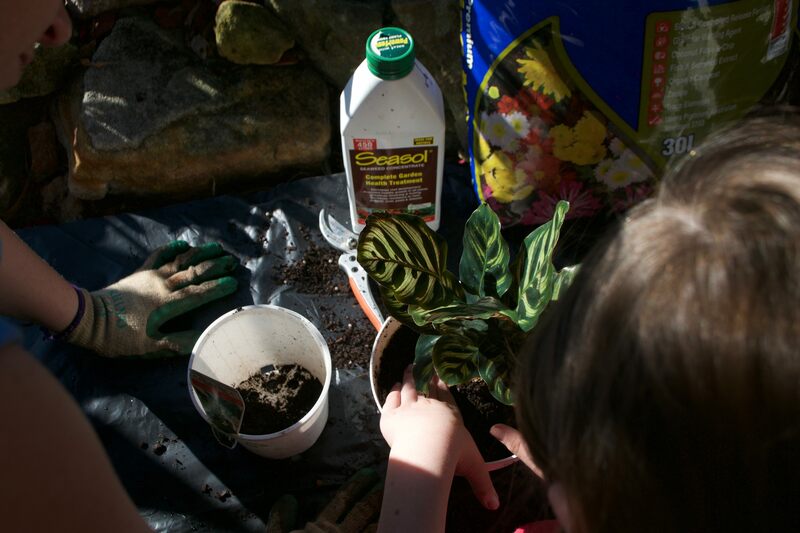 Pot up plants by one to two sizes. 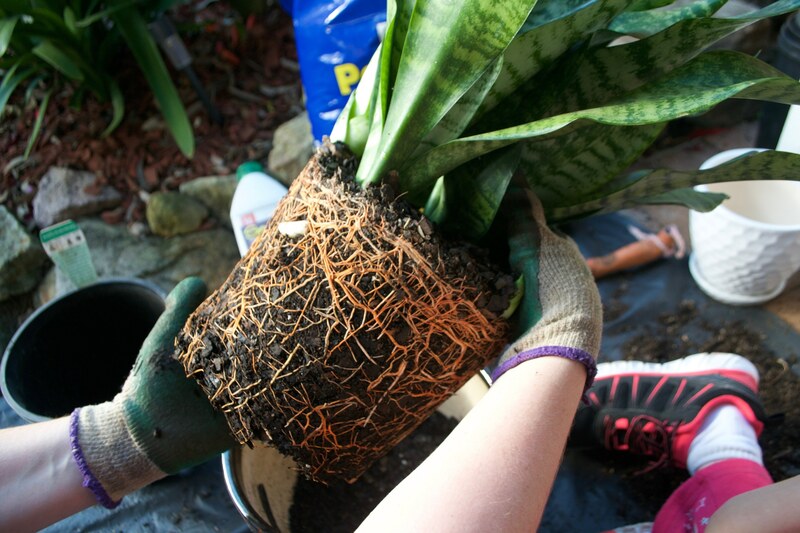 This Sansevieria has plenty of roots. So we potted it up one size larger from its nursery pot to one of my matching indoor pots. 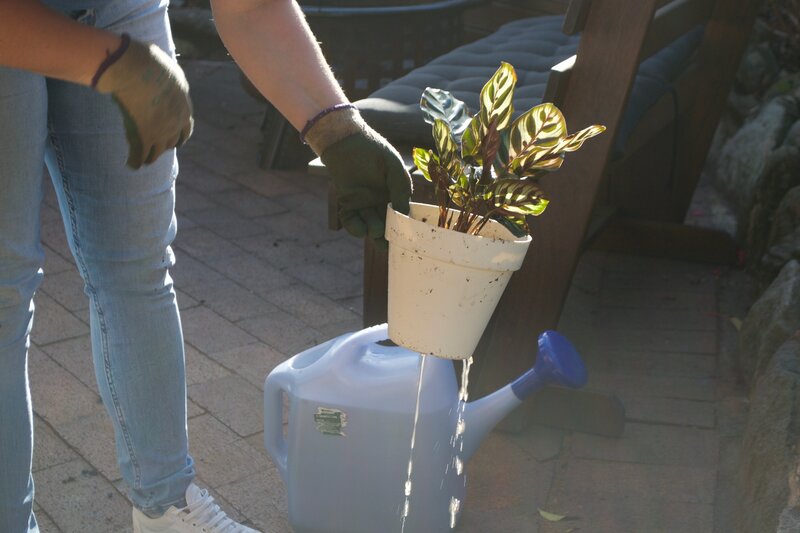 All newly potted plants need to be watered in, we added seasol to our watering can which is a soil conditioner derived from seaweed that aids plants in stress and helps avoid transplant shock in newly potted plants. 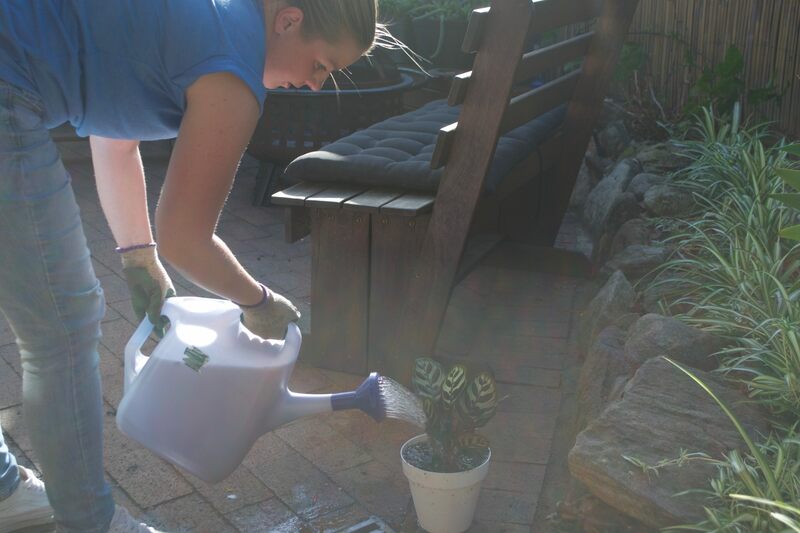 Leah and I managed to repot 5 houseplants and pot up a whole load of Kentia palm seedlings gifted from a friends garden. I'll share that story here soon. Special thanks to my sister Merilyn for the fantastic images & Leah for being an awesome helper. 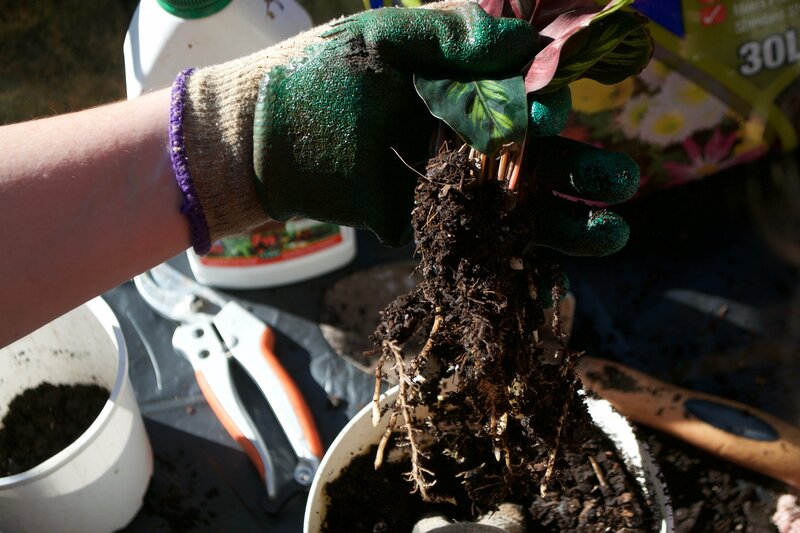 Do you have any tips for repotting new houseplants?